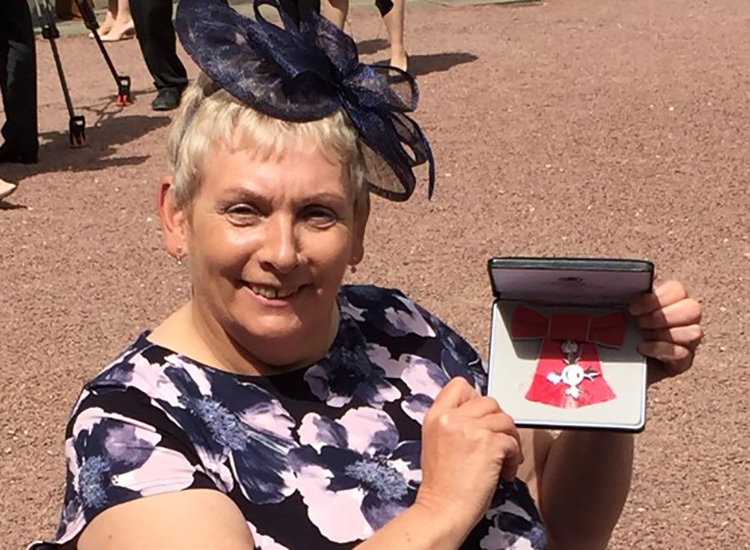 Jo Frith received her MBE at Buckingham Palace last month, and shares her experience of the day with some insights into what drives her to succeed, and advice to those wishing to continually improve their performance. It was a very exciting day at Buckingham Palace with the day dawning bright and full of sunshine, although a bit on the cold side. When I arrived at the Palace I was met by a Page who had been assigned to me for the day to make sure I had everything I needed and was in the right place at the right time. He escorted me upstairs to the dining room where all the recipients were gathered. We were shown a rehearsal of what we had to do when the time came to step forward to receive our honour. It was explained to us at this point that we would receive our honour from Her Royal Highness The Princess Royal. This was particularly poignant for me as my interest in sport was ignited, as a seven year old, when I went to watch The Princess Royal compete in a cross-country competition in Hampshire. 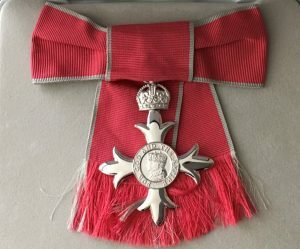 When I received my MBE from The Princess Royal she asked me how hard the training was for archery and what it entailed. She was quite surprised by the range of different types of training we did. She then expressed her desire, as an IOC member, to see Para Archers competing along side able-bodied archers at the Olympics. It is occasions like these that make all the hard work worthwhile. Staying motivated to compete is always hard but its the quest to achieve a new personal best and to shoot a great score in a major competition that drives me forward. I think that the memories of being on the historic GB 1-2-3 podium in Rio that reminds me why I’m sat on the line, freezing cold and shooting in very strong winds. Following on from my success in Rio I have become a trustee of TS5C. I’m passionate about promoting sport in Somerset and this charity gives financial assistance to young people who live or go to school in Somerset and who have potential to become Olympians and Paralympians in the future. This is incredibly important because of the rural nature of the county. This means that travel costs to competitions are much higher than those who live in urban areas. I’m incredibly proud to be associated with this small charity and I love meeting the next generation of elite athletes. My advice to archers wishing to improve is to train and compete as often as possible. Each time you train or compete have a goal in mind whether that be a score in competition or a point to focus on when in training. Change these goals for each session so it makes training more enjoyable. But the most important thing is to enjoy what you are doing. I love going to competitions because I get to see my archery family. I may only see them once a year at the same competition but I’m greeted like it was only yesterday that we last saw each other. Don’t be afraid to talk to other archers, they are a mine of useful information, and are happy to share this with you. To find out more about TS5C visit their website by clicking on the logo.